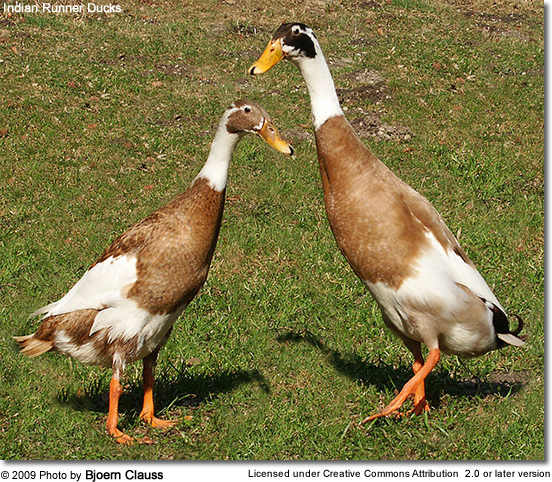 The Indian Runner Duck is an extraordinary looking domestic duck breed that is native to the Indian-sub-continent and Malaysia. This breed was developed by Mr. J. Donald of Wigton, Cumbria and it is from his original flock that the present day stock descend. 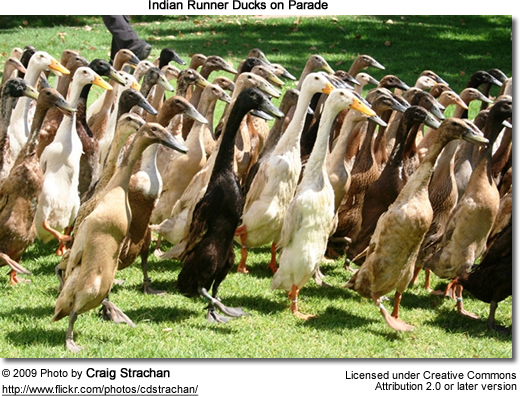 The Indian Runner Duck is a favorite among poultry lovers. They are bred for natural pest control, being released by the thousands. Their waste makes good fertilizer and they are often kept as pets. Their life expectancy is 8 to 12 years. 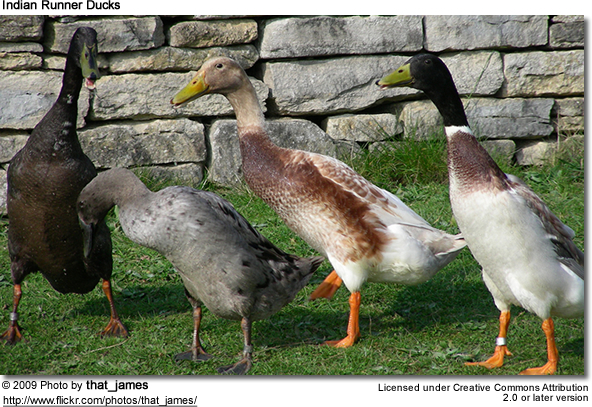 This duck, it is characterized by an erect position that resembles that of a penguin. In fact, in the past it has been referred to mistakenly as Penguin Duck. They can measure up to 14 inches (36 cm) tall and weigh around 3–5 lb (1.4–2.3 kg). The males tend to be heavier than the females. 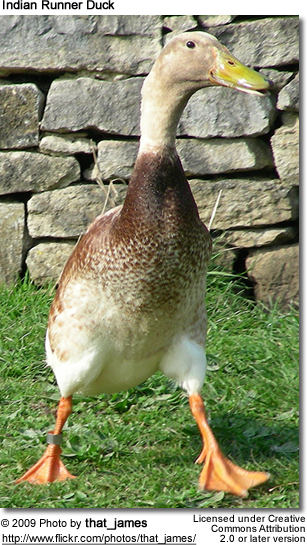 Indian Runner Ducks are generally quiet and known for their excellent egg laying production. The best of them can lay up to 365 eggs per year. The eggs weigh about 2.5 oz (70.87 g) - about the size of a large hen's egg - and .are white, off-white, blue, or light green in color. The Indian Runner Ducks usually forage for tidbits among ground cover and foliage. They eat a lot of slugs, worms and insects found in the grass and streams. 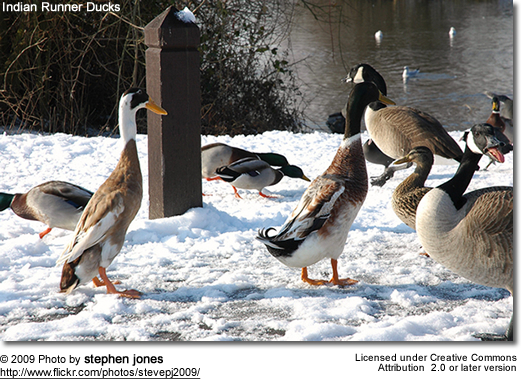 They also feed on greens, such as grass and duck-weed.